Well this project was amazingly fun! 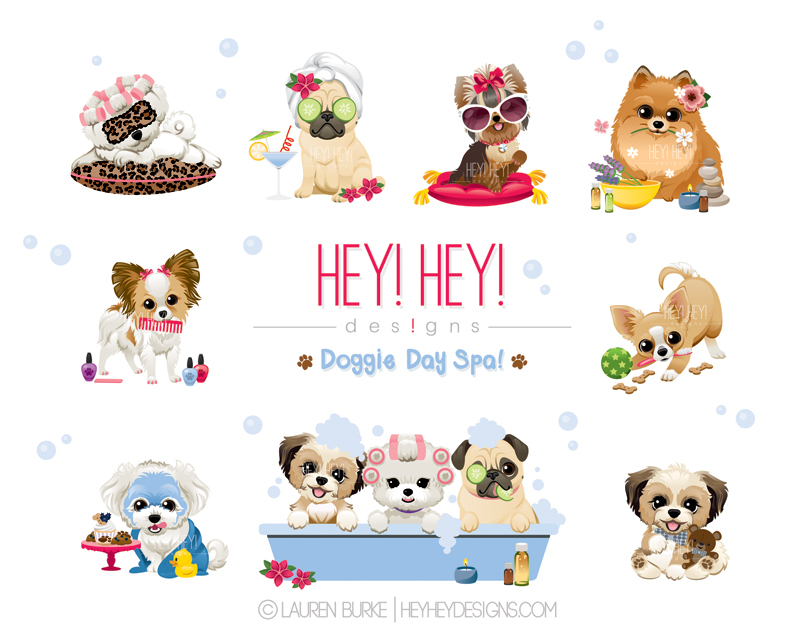 Edits for two dog-groomer entrepreneurs! 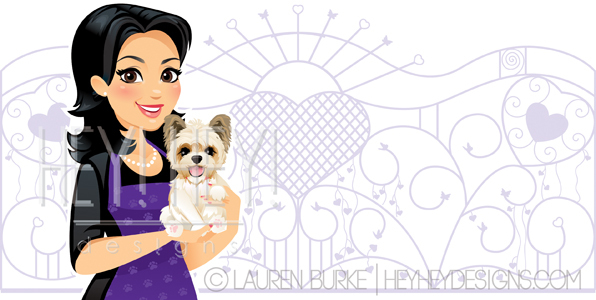 Kelly is starting a dog grooming business and wanted an avatar of her and her ADORABLE pooch, Mindy! She also had the awesome idea of having me incorporate a real gate she really designed that welcomes you into her property. 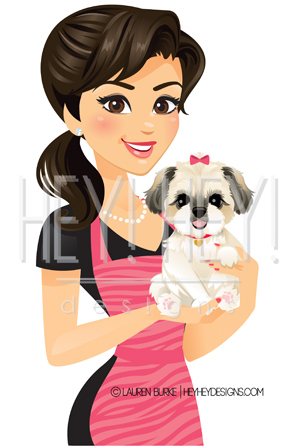 Olivia is also on her way to starting a business and wanted a more accurate depiction of her pooch, Missy!